1. 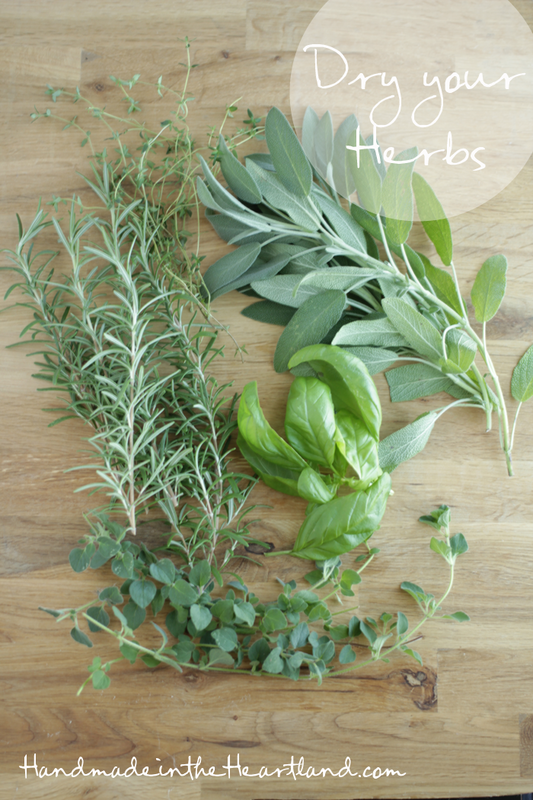 First things first, pick and wash your herbs. Dry them well by rolling them up in a paper towel and then remove all the leaves from the stems. 2. Place them in a single layer on a perforated baking sheet or regular cookie sheet. The perforated baking sheet has extra air flow so it dries even faster. 3. Preheat your oven to 175 degrees and place your herbs in. 4. Check them every so often, depending on how many leaves you have and what type of herb depends on your time. So for example a full cookie sheet of basil took about 30-40 mins, you know they are done when they are crispy to the touch. They shrink a lot, just fyi. 5. 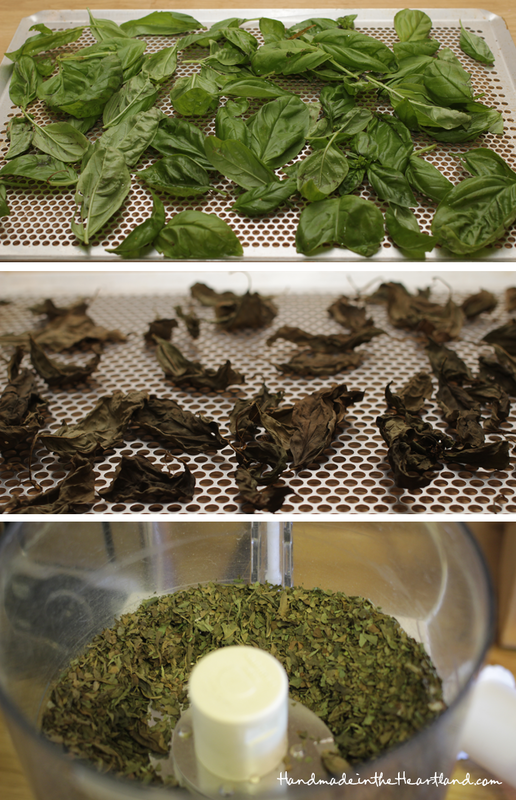 So the next step is up to you, you can either store them and leave the leaves whole and crush them as you are ready to use them ( i read that this method keeps the freshness and flavor longer, and its what i did with oregano pictured above) Or you can go ahead and grind them. Because i had dried so much at once i opted to go ahead and grind them in my food processor. I have been saving random jars so i had some containers to put them in. 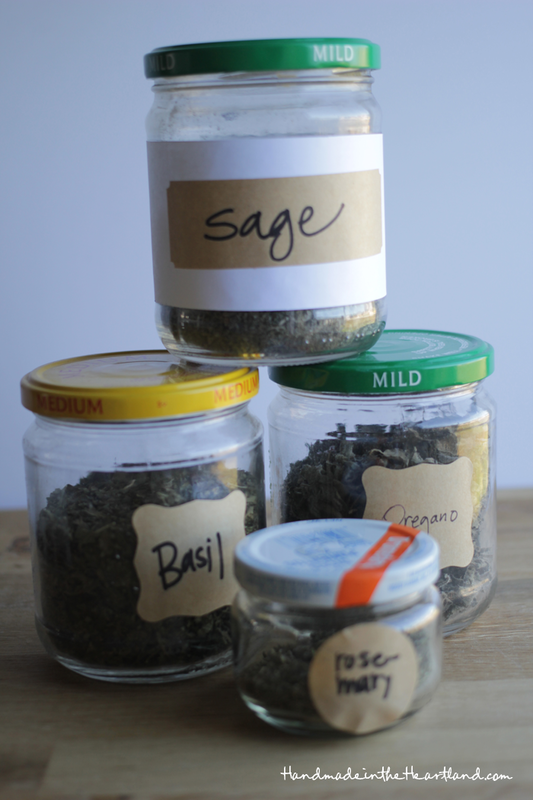 Lets just say i shouldn’t have to buy basil, sage, or oregano for years! 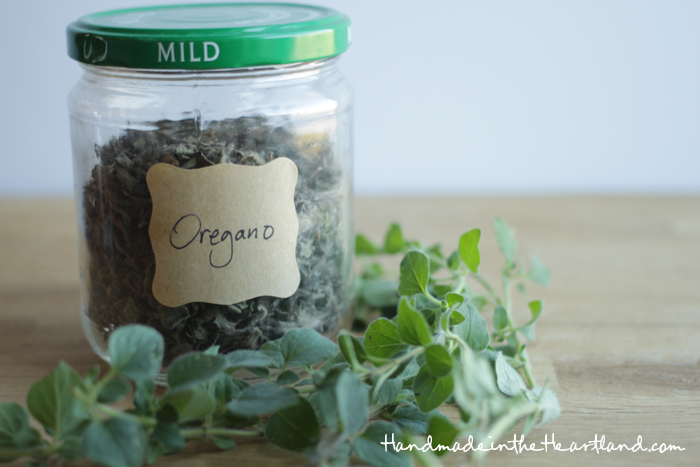 Do you dry your own herbs or preserve some type of food that you grow yourself? let me know in the comments!